Thanks, Mike. We're back in a prolonged dry spell here - haven't had any of the rain they've been experiencing in Wales over the last few weeks. Not so many sightings of migrant ospreys recently either. Well there was definitely one still around today! Thanks Richard. We also had a debriefing, at which I got to meet Roy Dennis, which was lovely. There will be a lot of changes next year which should help avoid some of this year’s problems, although we can’t control the weather. It's been an exciting year for this project, in spite of the sad losses. At least not all of the birds were lost through this, and it was an exceptional year for hot weather which brought problems for wildlife all over the UK. Roll on next season, when I hope the ospreys will once again excite us and maybe even surprise us! BOPH also run boat trips around Poole Harbour and provide a great commentary on the area and wildlife. 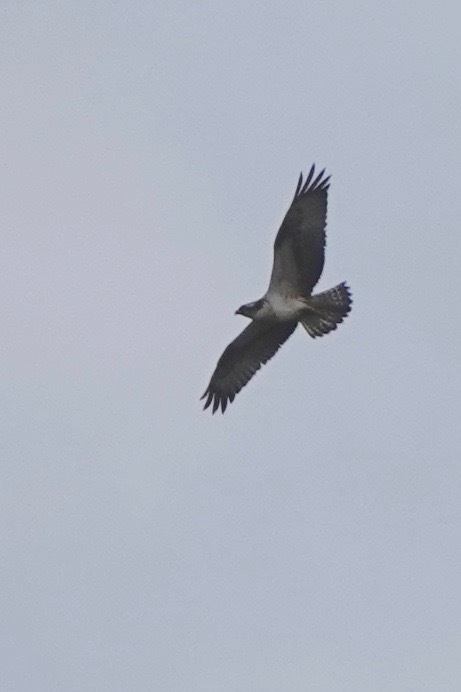 We went on one of their Osprey boat trips in Aug and saw 6 Osprey including 4 of the young relocated birds. The guys who run the trips are very passionate and knowledgeable about the area and its wildlife, well worth booking a trip. The following day we went to Arne and saw another migratory Osprey perched on the heath and 3 translocated Osprey at the feeding pens opposite one of Arnes hides. What a wonderful time you had Tony! Thanks to Phil's generosity we have the first of three new nesting platforms.